There are many different types of eczema. One type of eczema that many people suffer from during the fall and winter months is Xerotic Eczema. This type of eczema occurs when the skin becomes abnormally dry and itchy. 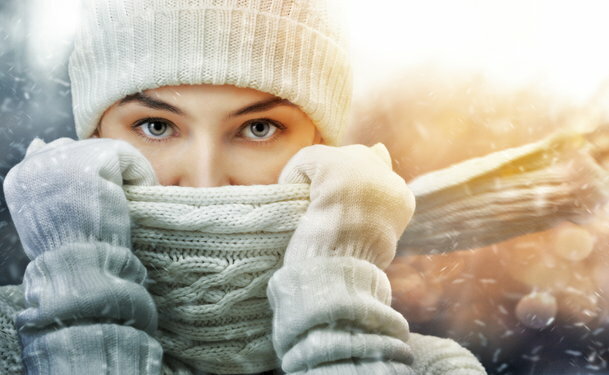 During the winter months, it is harder to maintain the moisture in the skin due to the colder temperatures. Xerotic Eczema can affect anyone, but is more common in the elderly and is most common on the lower leg area. The most common sign of xerotic eczema is dry, itchy and irritated skin. The dryness and itchiness may also be associated with red bumps, which may resemble a small pimple. Shaving can irritate the skin even more if the symptoms are on areas of the body which are shaved regularly. It may even affect the feet of those who suffer from diabetes. If it is not treated in diabetes patients, it can lead to more severe problems such as ulcers, infection and fissures on the feet. The main cause of xerotic eczema is the change in the weather. During the fall and winter months, the humidity in the air decreases which can dry out the skin. This can cause the skin to become dry, itchy, and cause it to crack. Applying moisturizers can help to relieve the symptoms of dry skin. Another cause of xerotic eczema is excessive bathing, showering and even swimming. By showering or bathing too much, you can remover the skins natural oil layer. If the body does not have time to replenish the oil layer, then the skin will become dry, thus causing eczema. Water dries out the skin, as well as soap and chlorine. During winter when its cold, many people try to warm up by taking a nice hot bath or shower and this then makes the skin dry. Swimming in chlorinated water or sitting in hot tubs will do the same thing. The chlorine that is kept in pools and hot tubs for sanitation can have the same drying effect on the skin as water and soaps. If you do use hot tubs or swimming pools on a regular basis, make sure to shower afterward to get all of the chlorine off of the skin. Washing with a gentle body wash or moisturizing soap may also help. Making sure to take the proper precautions when you use the hot tub or swimming pools can help you to avoid the excessive drying they can cause. The best way to treat eczema is with a good moisturizing lotion and soaps. The best ones may cost more than regular lotions and probably do not contain any fragrance to them since fragrances can cause more irritation to the skin. Your doctor can give you the best advice on which moisturizing creams and lotions to use. If you suffer from dry, irritated skin, talk to your doctor; he can help determine the cause and the right treatment.